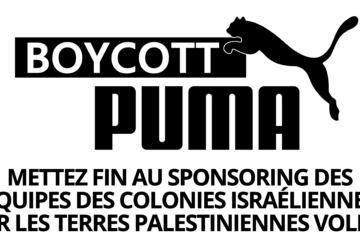 Home»ACTIONS ET EVENEMENTS»BDS ACTION DURING “DESTINATION EUROVISION” TRANSMITTED LIVE ON FRANCE 2: NO PUBLIC CHANNEL AT THE SERVICE OF ISRAELI APARTHEID! On the evening of Saturday 19 January the France 2 television channel transmitted live the semi-final of “Destination Eurovision”, to choose the artist who will represent France in the Eurovision 2019 contest foreseen to be held in Tel Aviv next May. 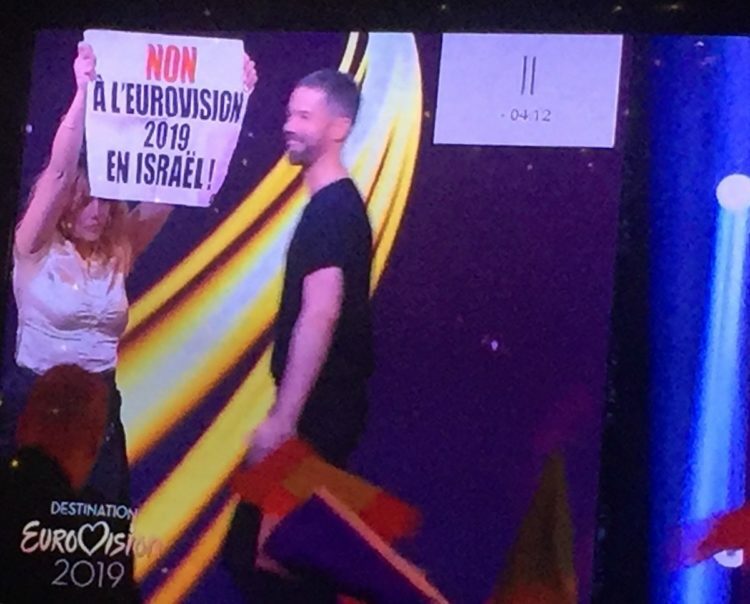 Activists of the BDS France Campaign in Paris got up on the stage, brandishing signs: “No to Eurovision 2019 in Israel!”, “No Eurovision for Israeli Apartheid!”, “Don’t sing for Israeli Apartheid!”, “Solidarity with the Palestinian people!”, “Free Palestine! 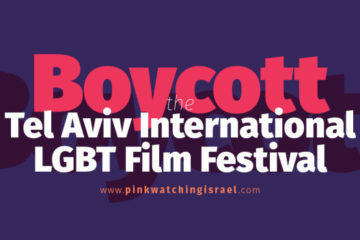 BDS!” “Boycott Apartheid Israel”. To protest at the holding of Eurovision 2019 in the Israeli apartheid state. Israel uses culture in an attempt to whitewash its image, to obscure its crimes and its policy of occupation, colonisation and apartheid against the Palestinian people. Particularly in the present context of the illegal and increasing colonisation of the occupied West Bank and with regard to the Great March of Return in Gaza, where the Israeli army fires live bullets to kill or severely wound unarmed Palestinians who have been peacefully demonstrating each week for the past several months for the respect of their basic rights. To urge the management of the publicly-owned France Télévisions, a member of the European Broadcasting Union, to not air the contest and to instead have it relocated to another country. In a communique sent to the newspaper 20 Minutes, France Télévisions declares that “Eurovision is above all a piece of entertainment with an international dimension and open to very wide artistic diversity. The nature of music has no borders, its universal ambition is dialogue among peoples, openness and togetherness.” Yet how can one make such a claim, when the state in which Eurovision is to be held practises apartheid, excludes the indigenous Palestinian population, when France Télévisions breaches its own Ethics Charter which aims to “contribute to the respect of people’s rights, notably their dignity and their struggle against discrimination”. We sent a letter in that sense to Delphine Ernotte, head of France Télévisions, but have thus far received no response. To call upon the French candidates competing in “Destination Eurovision”, the jury, and the head of the French delegation to Eurovision, Steven Clerima, to withdraw from this contest. The action was reported by numerous media (see * below). The BDS France Campaign also denounces the tributes paid to the Israeli winner of Eurovision 2018, Netta Barzilai, a cultural ambassador for the Israeli regime of occupation and apartheid who actively takes part in the propaganda efforts of Netanyahu’s government. Our action was part of the international campaign initiated by Palestinian artists and journalists and by PACBI, the Palestinian Campaign for the Academic and Cultural Boycott of Israel, calling for the boycott of Eurovision 2019 if it is hosted by Israel. That initiative is supported by more than 140 international artists, including the award-winning French comics artist Tardi, French film director and screenwriter Alain Guiraudie, Pink Floyd singer and bassist Roger Waters and the British film director Ken Loach. Numerous demonstrations have taken place in Europe and in several cities in France. 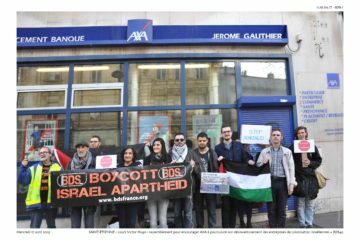 The BDS France Campaign recently co-launched a national petition which is supported by 75 French organisations and political parties. The campaign will continue to act against any attempt to whitewash Israeli apartheid.